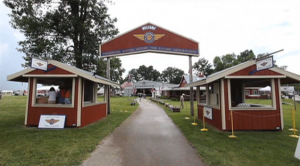 VAA President Geoff Robison highlights just a few of the reasons you should be here in Oshkosh for this year’s EAA AirVenture Oshkosh. Nice summertime temps combined with the camaraderie of your fellow vintage airplane enthusiasts will make for a delightful week. Come join us for the Round Engine Rodeo, visit with the restorers of the beautiful Past Grand Champions, and take in the sights and sounds of the Vintage Hangar, featuring the Type Clubs, metal shaping workshop, and many other great activities. We’ll see you here on the flightline! Click here to view this video on our video page.